Asian Film Foundation, Kent Adamson & Brett Thompson Productions and here! At The Regent Showcase Theater are proud to present a weekend screening of the films and music of one of Hong Kong’s most beloved icons. This film and music festival features the LA premiere of his last film, Inner Senses* in a perfect mix of six Leslie Cheung film classics such as Tsui Hark’s hilarious The Chinese Feast, Ronny Yu’s The Bride With White Hair and, of course, Peter Chan’s He’s A Woman, She’s A Man. This two-day celebration which includes rare filmed in concert footage, fan tributes and a light reception, will be the first event ever to show you the many sides of the legend known as Leslie. General admission is $9.50. Discount series passes available: all six films and a special tribute presentation for $40.00. Tickets on-sale now at Regent Showcase Theater, 614 N. La Brea Ave., Los Angeles, California. Box office open Mon-Sat from 12 noon to 5 p.m. or call 323.934.2944. 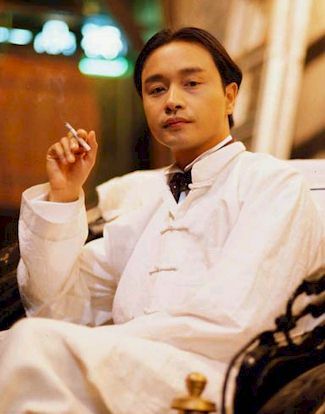 Hong Kong Vintage Pop Radio (HKVPRadio.com) is a proud Platinum sponsor for Leslie Cheung Tribute. Visit http://www.asianfilm.org and http://www.hkvpradio.com for details. *Inner Senses is generously sponsored by Tai Seng Video Marketing.